Chemistry students encountering atomic orbitals for the first time often wonder why the orbital looks so different from the others. The answer is related to the fact that boundary surface pictures of atomic orbitals typically show only the real part of these complex functions and often leave out the sign information as well. The one-electron wavefunctions resulting from the solution of the Schrödinger equation for the hydrogen atom are complex functions except when . 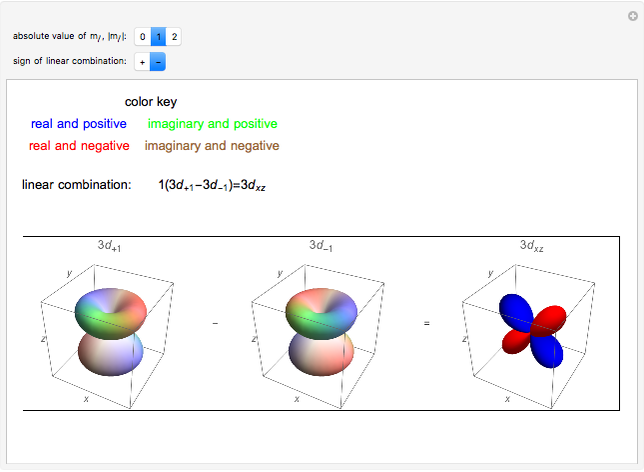 The real forms of atomic orbitals can be constructed by taking appropriate linear combinations of the complex forms. 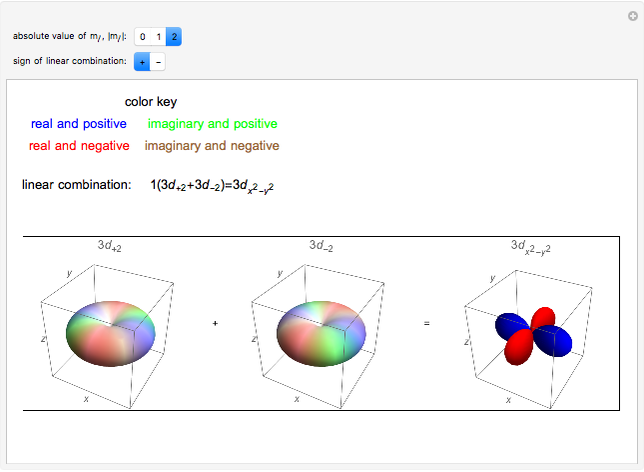 Here, boundary surfaces of the orbitals are colored to indicate the real and imaginary components as well as the positive and negative signs. 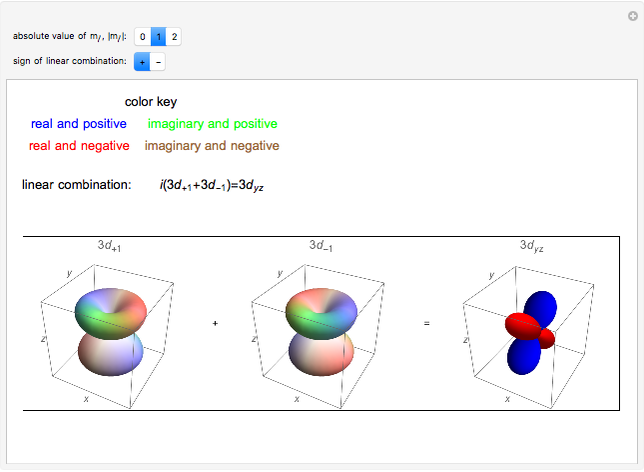 These color-coded atomic orbitals illustrate the linear combinations of the complex wavefunctions that result in the familiar four-lobe pictures. Lisa M. Goss "Linear Combinations of d Orbitals"